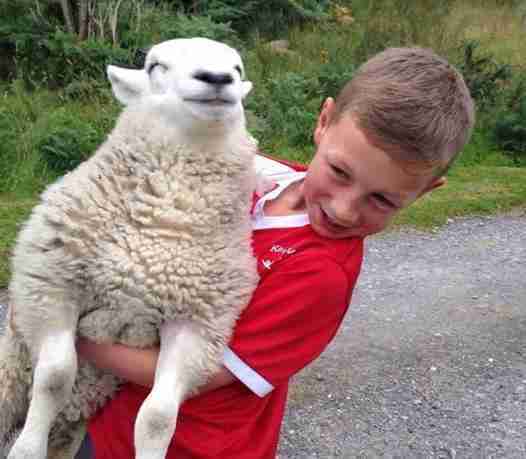 We've heard of a sheepdog, but this might be the world's first dog-sheep. 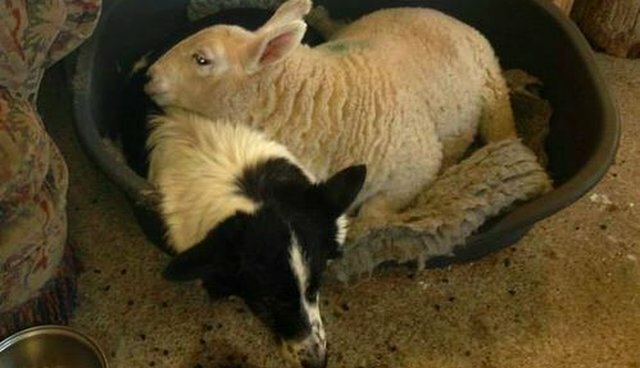 Meet the sheep named Pet who thinks she's just like all her collie friends. 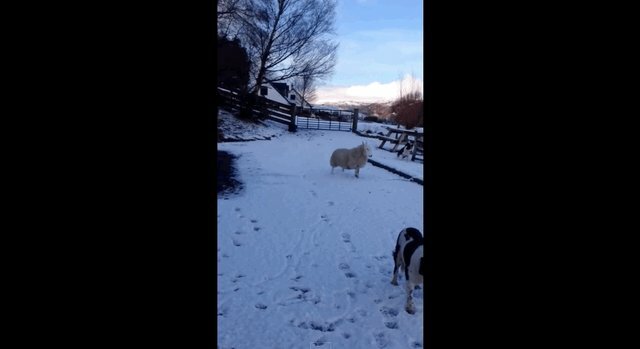 Jemma Mackenzie, who uploaded this video of Pet to YouTube, wrote, "Here's 'Pet' the orphaned lamb who thinks she's a dog. 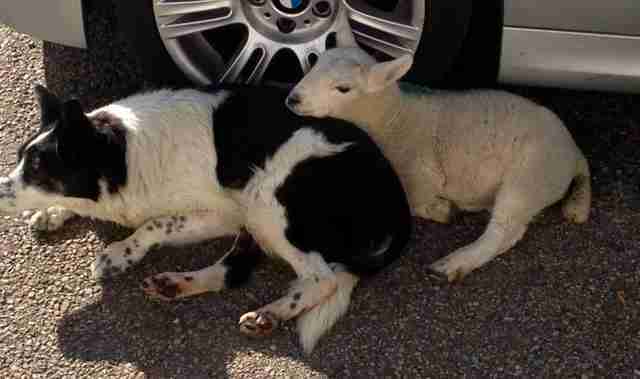 'Pet,' from a very young age started following our oldest collie Dice around, believing that Dice was her mum. Pet would follow her everywhere, even sleeping in the same bed together." 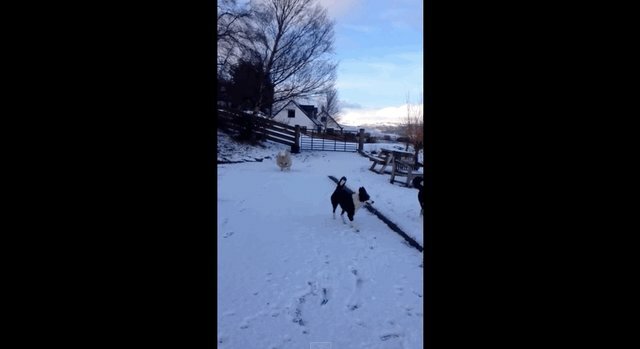 Pet looks so happy playing with all the collies. Let's hope she never finds out she's the odd one out. 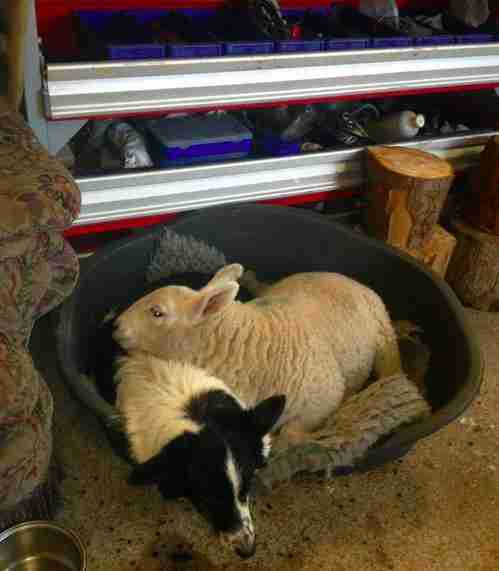 Mairi Mackenzie also uploaded photos to Facebook of Pet and Dice snuggling and hanging out around the farm. It's clear that everyone has agreed that Pet is one of the dogs. You can see more videos of Pet on Jemma's YouTube channel.